Being bitten by mosquitoes and other insects while camping or hiking is one of the biggest annoyances one could experience. This turns into a real problem if you turn out to be allergic to some or all insect bites. Generally, the best mosquito repellent will work against a wider range of bugs as well. Those developing severe allergies, or any sort of allergy, should seek the advice of a doctor in addition to seeking stronger repellents. Those who don’t face this problem might not know much about these products to begin with, but this is why we’re here. Unlike most mosquitoes, we don’t discriminate against our readers: we hope everyone will find this article informative and helpful in some way. Maybe you’re a sufferer who seeks a new product, or you may know someone who suffers because of these insects. We strive to deliver unbiased information for an informed choice. Some products are more expensive than others, and some are more efficient than others. 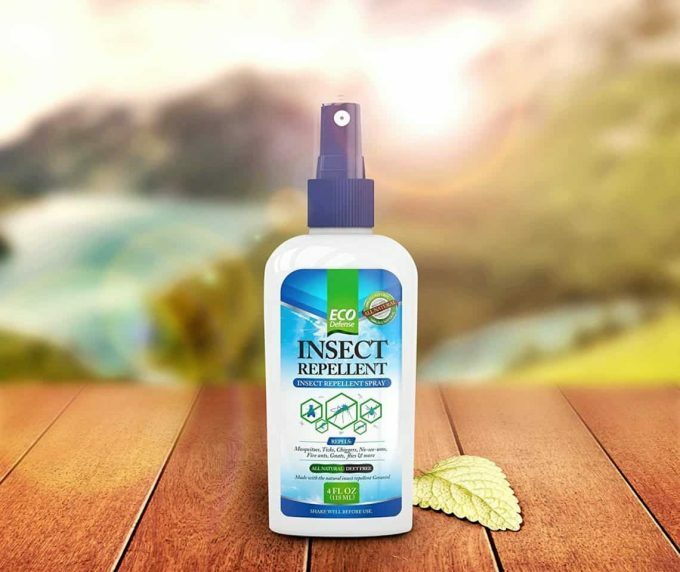 Before you buy an insect repellent it is vital you know more about this whole category of products, and their most important features. There are at least 4 types of chemicals that biting insects dislike and stay away from: DEET, Picaridin, Permethrin and citriodiol. No matter the repellent, it will only contain one of these active ingredients, as seen in the above table. Having a bit of understanding of each of these ingredients is vital at a time when people care more than ever about what they consume, the effects a product has on the body and the environment. This presentation is not a scientific paper, so we recommend further documentation if you have in-depth questions and concerns about these chemicals. This substance is also called diethyltoluamide, and is better known as N,N-Diethyl-meta-toluamide. The preferred IUPAC denomination is N,N-Diethyl-3-methylbenzamide and you should know that it doesn’t only protect against mosquitoes, but ticks, leeches, fleas and several other bugs. This is an yellowish oil oily substance that can be used on both skin and clothing. DEET poisoning is possible, and the blood, plasma or urine is being tested to determine how serious the poisoning is. People should be very careful when applying DEET formulas as it is a very good solvent, and it can remove nail polish, dissolve some watch crystals, as well as various synthetic fibers. Since DEET can protect from leeches, people went batching in fresh water after using this solution on their skin. While the chance for it to bioaccumulate is minimal, it does affect various freshwater fish as well. Keep this in mind if you care about your effect on mother nature. This substance goes by various names as well: icaridin, KBR 3023, and its IUPAC name is 1-piperidinecarboxylic acid 2-(2-hydroxyethyl)-1-­methylpropylester. This bug repellent is generally sold under these names: Bayrepel and Saltidin. As a substance, icaridin is odorless and colorless. One of its advantages over DEET is that it will not dissolve plastics and is not as irritant either. WHO (or the World Health Organization) discovered that this compound is just as good as DEET when it comes to repelling biting insects, and some say it is even better than DEET. This is the common name given to what IUPAC calls 2-(2-Hydroxypropan-2-yl)-5-methyl- cyclohexan-1-ol. Other names include para-menthane-3,8-diol, p-Menthane-3,8-diol, menthoglycol, and PMD. This is a compound that smells like menthol and even gives off its cooling sensation after use. PMD is naturally found in the leaves of an Australian tree, commonly known as lemon-scented gum, blue spotted gum, and lemon eucalyptus. Citriodiol is the only natural ingredient accepted for use in insect repellents, across US and EU. Even though this compound can be found in nature, researchers have been able to obtain it in laboratories by using ingredients from other naturally occurring sources. It has been proved that PMD can successfully be used instead of DEET to prevent mosquito bites. If you’re really concerned about the chemicals that go onto your family’s skin, perhaps repellents using this substance as an active ingredient are just what you need. While you can find PMD in some essential oils, it is not recommended to use those as replacements and you’ll be doing so at your own risk. This is both medication and insecticide. It is medically used against lice and scabies, applied directly on the skin and sold as lotions and creams. It comes as a spray when used as an insecticide, and is used on clothes, tents, and other camping gear. This ingredient is generally used on dogs as an anti flea drug as well, but it is lethal for cats. Furthermore, cats should be kept away from dogs that were treated with this substance. Animals living in water are also affected by it. What not many people know, is that this is the artificially obtained compound of a substance that can be found naturally in chrysanthemum flowers, called pyrethrum. As seen above, all repellents have the ability to keep ticks at bay. If you found products with a different active ingredient than the ones we mentioned, make sure it will fight off ticks as well. This is important because these little arachnids get attached to the skin, and they’re difficult to remove therefore it is best to prevent them from attaching. We’re all familiar with a spray-like insect repellent, however this is not the only format available for this type of product. As suggested by the table, we have at least 2: wipes and spray, but this is not all as even the spray has 2 variations: pump and pressurized. Perhaps the spray form is the most common one, but sometimes it can be hard to apply – such as when the product is almost over, on impatient children, or in the wrong position. It’s possible at types for the manufacturer to charge differently for the item, just because of how it is presented, even though the container holds the same amount of solution. Not everyone is aware of the chemicals their body produces naturally. These usually interfere with any product we choose to use on our skins – perfumes, deodorants, and even sunscreens or mosquito repellents. This is generally one of the reasons some products simply have no “as advertised” effect on some of us. 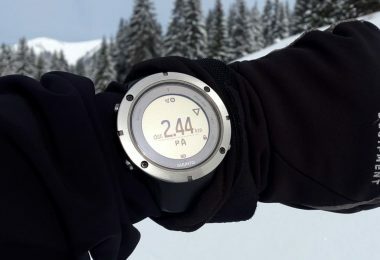 Maybe the quantity is not as important for you as the other aspects, but you still have to take it into consideration – you don’t want to run out of product in the middle of the trip. Some brands might indicate for how many applications does the container last. These were the most important features a mosquito repellent has and that you must pay attention to before buying. Stay tuned for our top picks when it comes to mosquito and insect repellents. Here’s a list with the best products to buy to keep all sorts of insects at bay. We did our best to present you with unbiased but informative reviews, to help you make the best decision. 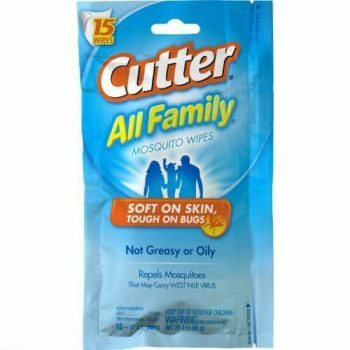 The Cutter All Family Insect Repellent offers convenience and outdoor protection against biting insects in form of wipes. The repellent has a cooling sensation and can be applied all over the face, ears, and neck. These wipes do not leave an oily sensation after use, something many women appreciate. The package uses a Ziploc closure which prevents the wipes from getting dry when opened. Every package contains 15 wipes that provide protection not only against mosquitoes but other bugs too. Unlike traditional insect repellents, the Cutter products do not smell like bug spray. One advantage of this product is that it can also be used on children skin. Keep in mind these wipes are not individually packed, and do not fit as well in a purse as in a backpack. In order to stay on the safe side, make sure to reapply the repellent every few hours to get the best results. There’s only 7.15% DEET as active agent, and this is another reason for which often reapplication is needed. The advantage is that the risk of an allergic reaction is also lowered than with other DEET based products. Related: If you like this product and want a spray version, Cutter All Family Spray has got you covered. This product by Ben’s comes in the shape of a spray you can take with you when going on an outdoor trip. The spray is easy to use and carry in your bag. This item contains 30% DEET and oil that leaves your body moisturized. Ben’s Eco Spray Insect Repellent protects against many varieties of insects including mosquitoes. The product evaporates slower than other similar items, which guarantees protection for at least 8 hours ahead. The lift & turn spray top discourages children from playing with it and ensures the content will not leak. Although this product is advertised as having no scent, customer reviews show Ben’s spray as not being completely odorless. As it contains oil, this product is known to leave a greasy filter on your skin for a few minutes after use. The spray can be used on its own or applied on tissues for easier use. Unlike other sprays, Ben’s Eco can also be used on children. Related: If you’re camping or having a barbeque and don’t feel like spraying yourself or others, some citronella candles could be a nice alternative. The ones suggested by Patio Essentials come in a pack of 6. 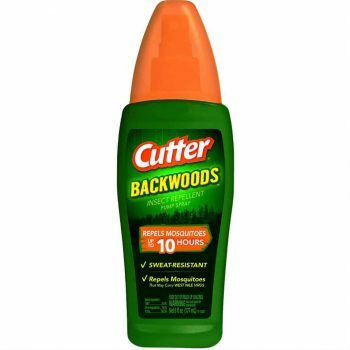 If you need a mosquito repellent, check out the Cutter Backwoods Insect Repellent. This product offers 10 hours of protection against a wide variety of insects like mosquitoes, ticks and mites. The pump spray is also water and sweat resistant, which allows you to workout or swim outdoors. The bottle sprays at a 360 degree angle that reaches areas like neck, ears, or back easily. This product is classified as unscented, however it does have a specific odor which goes away in a few minutes. The spray does not leave a greasy filter on the skin due to its oil free formula. Cutter Backwoods contains a 25% DEET formula, thus making the product unsuitable for children. Customer reviews suggest the pump might be difficult to use when the bottle is almost empty. The spray does not stain clothes or surfaces, which makes it a good choice when camping or hiking. Related: The Bed Bug 911 Natural Bed Bug Spray is a product you might want to consider taking with you just in case you’re forced to sleep in cheap motels. 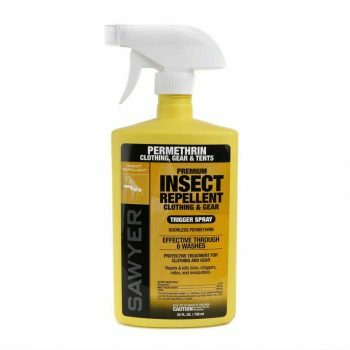 Sawyer Products Premium Insect Repellent is a top notch bug repellent that must be applied only on the outdoor gear and your clothes. While it is not recommended to use this product on your skin, you don’t have to worry much if contact happens. Permethrin – it’s active ingredient – is used in lice shampoos and is not toxic. A single application of this product will last up to 6 washing cycles, or 42 days of sun exposure – and you’re most likely to use your gear for a fraction of that time. With a 24 ounces bottle, you can treat up to 4 complete outfits. It’s best to treat all the items that you constantly use outdoors, especially in a backyard or garden, to keep insects at bay.. While you can use this repellent on virtually any type of material, it will work best on soft fabrics – cotton, wool, and synthetic blends are preferred. If you want the best results, you can combine this product with others that are intended to be used on your skin. Some people have severe allergic reactions to insect bites, and products like Off! Deep Woods Dry Repellent can protect them from getting bitten. The active ingredient is DEET, and this means irritation could occur after the application. For some people, a concentration of 25% DEET is not enough to keep them protected against these insects. It’s not recommended to use this Off! On your clothes, as they’ll lose their color. Since this is an aerosol type of spray, you’re supposed to keep it 6 inches away from your body when using it. This way it will also cover a larger area. Many people liked that this spray is a dry one and therefore it almost doesn’t irritate the skin. One of its best features is that you won’t feel your skin greasy after using it. Luckily for many folks, this Off! has little to no scent at all – those reporting a scent say it is a pleasant one. Related: Some people like Off! products more, and if they want to use it on the whole family, they should get the Off! Family Care Smooth spray instead. 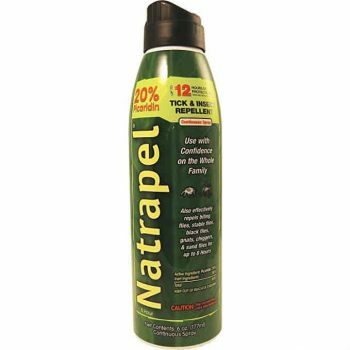 Natrapel Mosquito Insect Repellent product uses 20% Picaridin as its active ingredient, and this is a rather high concentration – it is easy to over apply. One application will protect for at least 8 hours against various insects, and for 12 hours against mosquitoes and ticks – so two applications a day are the allowed dosage. Since this product contains no DEET, it is safer to use on children as young as 4, however for those under 1 year of age, a paediatrician should be consulted. Furthermore, your clothes and gear will also be safe should the come in contact with this solution. White fabrics might get slightly stained if product is applied onto them. As far as the smell goes, some people say it is a strong one, others say the opposite, and some say it is pleasant – it all depends on your sensitivity in the end. The product is quite effective even if you get sweaty after using it, and even if you get muddy. As a warning though, you can only use this repellent on exposed skin – if you need to wear clothes, use it on top of the clothes. Related: If you like this product, but not that it is in a can, check out the Natrapel Repellent Wipes, in pack of 12 individually wrapped wipes. 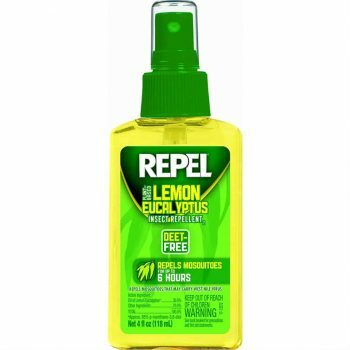 Repel Natural Insect Repellent is a good and unharmful insect repellent for the whole family. Its main active ingredient is plant based – lemon eucalyptus, which is known to be a natural bug repellent. If you want to use it n your kids, make sure they’re older than 3 and use on places where they can’t reach, such as the back, reports say it’s enough. Should be noted that some people attract bugs more than others, and they should buy another active ingredient based product as well, just to be safe. Furthermore, this product might not offer enough protection in heavily infested areas either. The major downside is that it has a strong scent that can be unbearable for some folks. Those who used this product like it because it is far less toxic than DEET and other similar solutions. It can also be used on clothing without them getting damaged. Those who used it do recommend applying it only on exposed skin and on your clothes if you must. Related: Many parents are reluctant when it comes to applying solutions onto their children’s skins. The Mosquito Repellent Patches are a great alternative since they can be stuck to clothing as well. The Sawyer Picaridin Insect Repellent is the right choice for you if you’re sensitive to various scents as this product smells faintly like citrus. 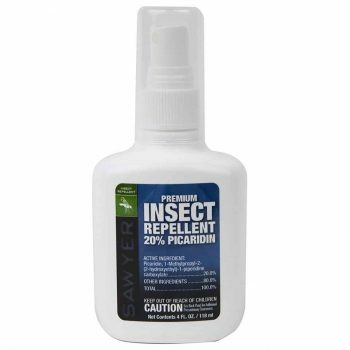 With 20% Picaridin as its active ingredient, it is safe to use on your gear, clothes, and is less toxic than DEET. Additionally, you’ll be protected for up to 12 hours against mosquitoes and ticks and up to 8 hours against other insects. Generally this product is as effective as the DEET based solutions, however there are people who simply get bitten so much they could find this product ineffective. What’s more, the manufacturer advises not to get this item if you go t heavily bug infested areas. Another downside is that uncovered skin areas will get bitten, unlike with other similar products. It is recommended to use this Sawyer product only on exposed skin, as covered skin will feel hot after use – something that happens with many other solutions. 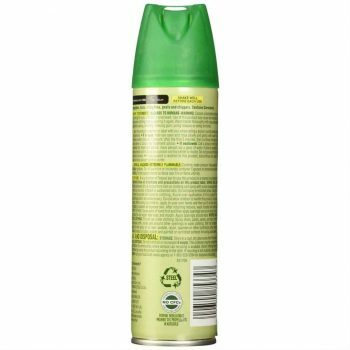 Related: There are some insects that bother us just as much as mosquitoes and a natural solution against these would be the biodegradable Go-Green Insect Repellent that keeps ants, spiders, ticks and other bugs away from your house and yard. And this is where our list of good insect repellents ends. It is our hope you learned a few new things as well as some key elements to check out before you buy one. We’d also like to point out that not everyone needs these products as not everyone gets bitten the same way or is allergic to insect bites. If you’re one of the lucky unaffected by bug bites, it’s still a nice idea to bring some protective solution with you on a trip. What mosquito repellent do you use and how did you choose it? What do you like for active ingredients and how do you apply it? Feel free to share your opinions and suggestions with other readers, in the comment section below!